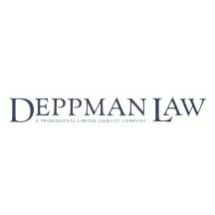 The attorneys at Deppman Law PLC possess extensive legal experience in a variety of legal areas, and our practice is one of the premier sources of effective legal representation to individuals, families and business owners in our area. Deppman Law PLC has earned a Martindale-Hubbell Distinguished* rating, and has received many positive reviews and referrals from our satisfied clients. We provide exceptional assistance to our local residents, and also support our community through our involvement with various nonprofits, charities and civic organizations. We are fully committed to making our community a safe and welcoming environment. This dedication is reflected in the personalized attention we provide to the clients we serve, and we promise to do all we can to help protect your rights and achieve the favorable outcomes you seek efficiently and cost-effectively. To find out more about how Deppman Law PLC can best serve your needs, you can call our law office or visit our website to schedule an appointment.